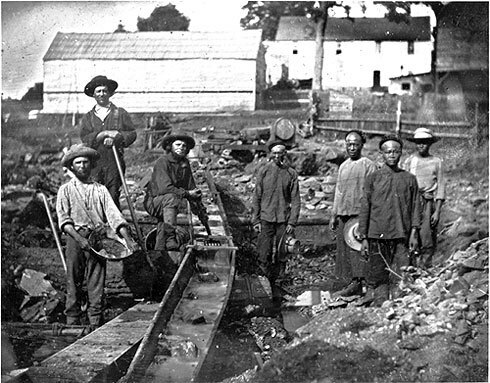 The California Gold Rush (1848–1855) was a period in American history which began on January 24, 1848, when gold was found by James W. Marshall at Sutter's Mill in Coloma, California. The news of gold brought—mostly by sailing ships and covered wagons—some 300,000 gold-seekers (called "forty-niners," as in "1849") to California. 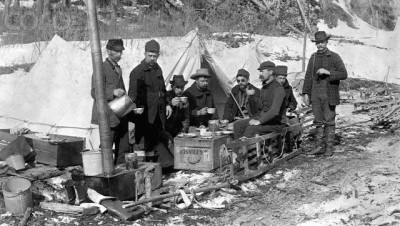 While most of the newly arrived were Americans, the Gold Rush also attracted some tens of thousands from Latin America, Europe, Australia, and Asia. The effects of the Gold Rush were substantial. 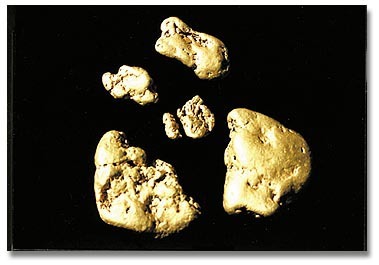 At first, loose gold nuggets could be picked up off the ground, and since there was no law regarding property rights in the goldfields, a system of "staking claims" was developed. In 1849, a state constitution, governorship, and legislature were established, and as part of the Compromise of 1850, California officially became a US state. Agriculture and ranching expanded throughout the state to meet the needs of the settlers. Roads and other towns were built throughout the new state, and new methods of transportation developed as steamships came into regular service. By 1869, railroads were built across the country from California to the eastern United States. The California Gold Rush was a particularly violent period for the new settlers of the Wild West. After the initial boom had ended, explicitly anti-foreign and racist attacks, laws and confiscatory taxes sought to drive out foreigners, especially Chinese and Latin American immigrants. The toll on US immigrants was also severe: roughly one in twelve perished due to the extraordinarily high crime rates and the resulting vigilantism. 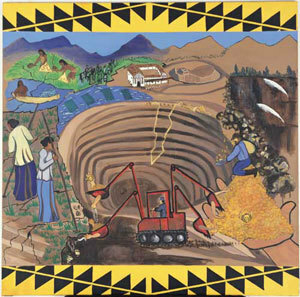 While the total of gold recovered would be worth tens of billions of US dollars today, eventually the technological advances reached a point where significant financing was required to mine the gold, causing increasingly important mining companies to take over the industry and leading to great wealth for a few. 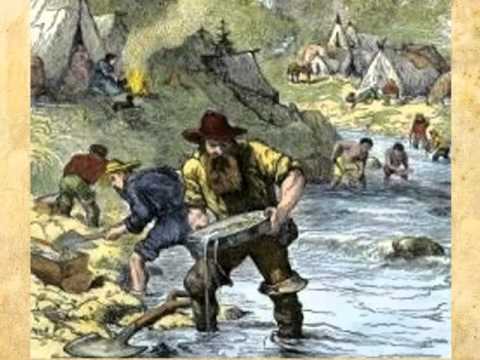 Many of those who had had to rely on simple gathering methods, such as gold panning, returned home with only a little more than they had originally started with. A major genocide was furthermore conducted on Native Americans who resided in the Great Basin, a watershed which had supported the tribes for more than 14,000 years. Peter Burnett, California's first governor, declared that California was a battleground between the races and that there were only two options towards California Indians, extinction or removal. The State of California directly paid out $25,000 in bounties for Indian scalps with varying prices for the adult male, adult female, and child sizes. It also provided the basis for the enslavement and trafficking of Native American labor, particularly that of young women and children, which was carried on as a legal business enterprise. Miners, loggers, and settlers formed vigilante groups and local militias to hunt the Natives, regularly raiding villages to supply the demand. The Native population of California, once perhaps as high as 705,000 in numbers, but by 1845 already down to some 150,000, further spiraled downward until by 1890 it had reached below 20,000. 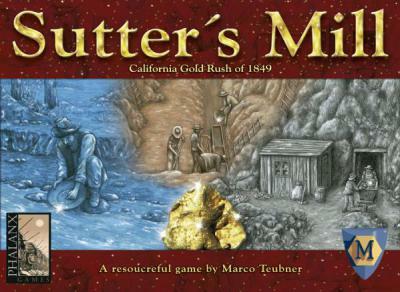 The California Gold Rush began at Sutter's Mill, near Coloma. On January 24, 1848, James W. Marshall, a foreman working for Sacramento pioneer John Sutter, found shiny metal in the tailrace of a lumber mill Marshall was building for Sutter on the American River. Marshall brought what he found to John Sutter, and the two privately tested the metal. After the tests had shown that it was gold, Sutter expressed dismay: he wanted to keep the news quiet because he feared what would happen to his plans for an agricultural empire if there were a mass search for gold. Previous to the discovery of gold, California was the Mexican territory of Alta California. This region had been under the control of Spanish speaking people since Europeans arrived in California, first under the control of the Spanish Empire before being passed down to Mexican control after a successful campaign for independence. Most large outposts of civilization at this time were located along the coast from San Diego up to San Francisco where they were concentrated away from the areas that gold would eventually be found. The majority of non-natives living in Alta California at this time were Spanish-speaking mestizos from either a Spanish possession or Spain itself. American and European settlers did begin moving to Alta California in the years preceding the gold rush, but they tended to settle in these established regions and were a minority of the population.